One guidebook calls Bali’s tourism industry a ‘duopoly’, with the chaos of Kuta typically juxtaposed against the idyllic vibe of Ubud. When I went to the island recently, I have seen these both sides and in as much as I want to remember Bali as a postcard friendly paradise, I think I would have to agree with Mr Daffy’s attitude in The Beach: ‘You know why he wouldn’t ever go to Indonesia? Boycotted because of Bali. He went there only once… and wouldn’t ever go back’ (Garland, 1996). For those who see Bali as an Eden on Earth with swaying palm trees and friendly locals in the backdrop, take heart: unless you are staying in five-star hotels luxury travellers are raving about, let me warn you that Bali is beautiful, but it is a bit overrated. Maybe I went during the wrong season, or bad luck strikes me more than other tourists (which has something to do with me looking like a Balinese, which I will talk about later), but I’m sharing my experiences to forewarn you of the things that might ruin your vacation in the so-called island of the Gods. But first, the good stuff. Balinese are friendly people, and I’m not talking about hotel staff, taxi drivers and market vendors who are, in a way, financially motivated to be so. I went to a walking tour in the heart of Ubud and I can say that the farmers, the ordinary people going about their lives in the villages are sincerely friendly. They offered food to a stranger like me, gave their warmest smiles and most of them wish I had a good day during my stay in Bali. These are the locals – not tainted by any monetary gains whatsoever – who make me believe that Bali is indeed a paradise, but probably back in its heyday. My eco-tour lasted for half a day, and after my stroll to the green fields, hidden waterfalls and local villages, I needed to come back to the tourist zone. 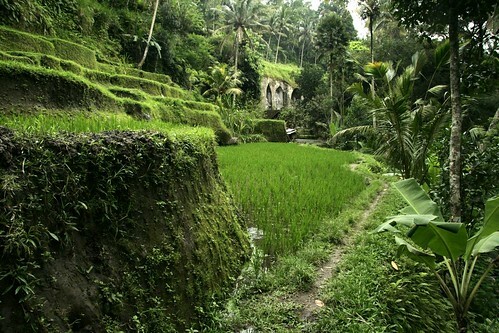 But the more I move out of the fields, and closer I get to the tourist drag, the more I feel disconnected from the real Bali. I think all the travel hype about the island is well, just a hype, and the brochures are just glossies full of fluff. Partly, it has something to do with me being Southeast Asian and looking like someone from Jakarta or even a Balinese (according to the locals). At first, I thought I would easily blend in and no one would suspect I’m a traveller. But, it became a disadvantage on my side. And this sort of ‘discriminatory treatment’ I have felt strongly in the restaurants. I went to a pizza place in Jalan Pengosekan in Ubud and the moment I got in, I requested for the menu and the staff asked me to go to the counter and order. I have nothing against ordering if that’s the SOP, but five minutes later, two Westerners/Caucasians came into the restaurant and one of the staff eagerly came to their table, handed them the menu and even had a chat about the bestsellers! In Kuta, meanwhile, my friends and I ordered some snacks in a restaurant and the waiter, after taking our orders, asked: “Are you tourists?” (I thought to myself, “I’m a traveller, not a tourist”) Upon learning that we are indeed non-locals, the waiter did not sound convinced and he even uttered, “Are you sure?” and I detected a condescending note in there. Maybe it’s a case of bad service or bad English sentence construction, but I cannot forgive the sarcasm. Bad service aside, it’s the perpetually painful ripping off that made me disappointed with Bali. 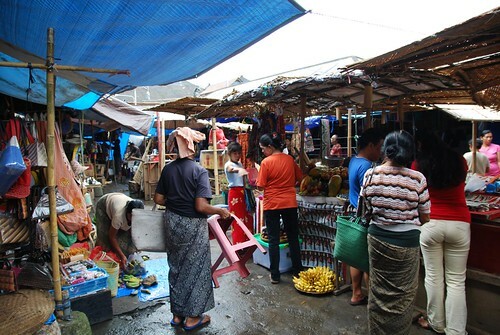 All memories I have of Ubud Market are vendors trying to rip off tourists. Take the case of the red wooden bangle: When I went to Ubud Market, I spotted a red wooden bangle and in three different stores, vendors are trying to sell it to me for 60,000 rupiah. I declined and when I went to Kuta, a vendor is selling it for 30,000 rupiah. I asked if there’s a chance she can lower the price and the vendor replied, “Fixed price, 30,000”. I thanked her for her time and started walking away. She tried to run after me and said: Okay, I can give it to you for 10,000 rupiah”. I appreciated the effort, but no thanks. 60,000 rupiah reduced to 10,000 rupiah is just insane. And of course, what kind of travel rant will this be without the quintessential taxi story? Sadly, I have had my share. Taxis in Kuta overcharge, that’s a given. But what’s worse than charging 50,000 rupiah for a ‘parking fee’? My friends and I took a cab from Kuta to Ngurah Rai International Airport and we insisted on using the metre. Upon reaching the Departure Gate, the taxi driver exorbitantly charged us 63,000 rupiah, including, the 50,000 parking fee. We had an argument about it, insisting that the toll he paid is only 5,000! He only gave in and accepted the correct amount when an airport officer intervened. If you chance upon this post and are heading to Bali, pardon my bitterness and heed my advice: drop all your expectations the moment you land at Ngurah Rai. And if you have been to the Bali, and had a totally different experience from what I have had, good for you. Hit the comment box for your equally violent reactions, if you may. Thanks to Nick Botter & Alpha for the photos. Under creative commons license at the time of posting. Have you been to Bali? How was your experience? grew up in a small town in the Philippines, and is now a travel writer and editor in Singapore. If she's not hibernating in her kitchen experimenting on strange ice cream recipes (strawberry basil flavour, yum! ), she's out biking in the park or walking aimlessly at Chinatown. She frequently travels around Asia, and is always mistaken as a local wherever she goes. I think that if you get out of the main tourist hot spots there is still a Bali that is untouched, beautiful and full of friendly locals not looking to pull a fast one on tourists. There were times in Ubud when I wanted to scream but out on the east coast it was much more laid back, for the most part. I think it’s like most any tourist destination, there will be those parts that are overly touristed but if you venture out a little further you can find magic. Ha! The moment I saw the title, I knew I was going to drop in comments. And yes, after reading your whole entry, I completely agree with how you portray Bali here. Those locals that have nothing to do with tourism are purely friendly and welcoming but those who are a part of it see tourists as walking bunch of money they’ll go all out to get a grab of it. Bali is beautiful but the rip-offs are just so bad, even some of the worse I’ve ever seen in all the countries I’ve ever been to. And I didn’t have to wait long to drop my high expectations down on Bali. An immigration officer and somebody his called ‘ketua’ tried to take my camera away from me for doing a little bit of mistake by taking a picture in the departure hall when they had the smallest sign of ‘No photography’. If I wasn’t an experienced tourist, I would have let them take my camera just like that but no, immigration officer to confiscate a camera? Where in the world did they ever get that idea? But that was of course the only beginning of everything. I came to find out that Balinese people (those in the tourism) like to cheat as much as they like to talk about Karma. Bali is beautiful but those rip-offs are such a turn-down. Thanks God, I don’t remember encountering any of those double-standard hospitality may be because I was just lucky. But to be honest, it’s illegal to use your camera inside all immigration areas. The normal procedure they would have taken though is request you to delete the photo you’ve shot and take further action if you refuse to do so (ie confiscate your cam). I have to completely disagree. But then I am a westerner and so it was probably a totally different experience. I also went just for the surfing so spent the majority of the time on the beach or in the water and loved it. I cannot wait to go back actually. However, we all have our horror stories and while I agree Bali is over-marketed, the reason its so popular its because its so cheap and accessible to us from NZ and Australia. Plus a lot of people that don’t travel a lot are, lets say stupid, and will pay 60,000 rupiah for a bracelet. Sad but true. Glad to know that you had an awesome time in Bali. Some friends who went to surf there also had an amazing experience, I wonder if I would’ve probably had an entirely different story should I stay near the waters. That’s the good thing about travelling, we come from the same places and we got completely different takes on what the place is. Even the locals are getting ripped off. Hopefully this will be addressed soon by the government. Hi SayoteMambo! Thanks for dropping by 25Travels. Yes, it’s one sad thing about travelling: constantly being ripped off 🙁 I haven’t had any bad experience with the immigration officers though. But looking at the bright side, at least locals can practice their haggling skills with the vendors because they speak the same language. Not really up to the government to prevent this one, though. Should start from the vendors themselves.